Cheri has been in the industry for as long as she can remember… Starting off in Cape Town, then to Durban and finally spreading her wings in the United Kingdom where she was privileged enough to execute exclusive events alongside the Scottish Parliament. As a romantic at heart, Cheri also specialised in Weddings with more than 30 international weddings under her belt. With her Clifton Strengths including Activator, Communication, Relator, Achiever and Belief – this is someone you want working alongside you. Still not convinced? How about a little more insight into what makes Cheri, well, Cheri! Back in South Africa, Cheri was a part of The Aleit Group for years, first as a Project Manager in the Events Team and then as Director and Principle of The Aleit Academy. She has always taken challenge in her stride from the get go, so managing events all over South Africa under their banner, was a piece of cake! Cheri has worked on highend accounts with top financial institutions executing numerous high grossing events in record time. During her time as Director and Principle of The Academy, the school became a stand-alone, fully accredited educational body. Conceptualising of a purpose-built campus on Lourensford Estate was also a project managed by Cheri from grass roots through to the physical breaking of ground, building and eventually furnishing of the campus. 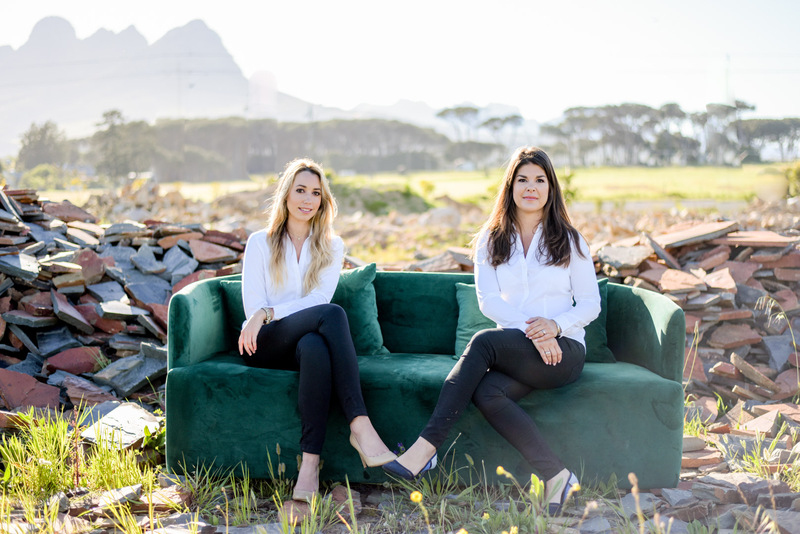 As if that wasn’t enough, Cheri also conceptualised the Lourensford Harvest Market, situated on Lourensford Estate; the first of it’s kind in the area. Again leading the project from conception, through to the actual building of the market space and vetting of all initial exhibitors. Family is something held close to her heart and so when she is not all consumed by her incredible husband and gorgeous daughter, Cheri is focused on creating exceptional events and weddings with her Clients. Strong Christian beliefs ensure that focus is on integrity and honesty in all dealings to make sure Cheri is always a woman of her word. Born and bred in Cape Town, Shelley thrives on the diversity and challenges the Mother City has to offer. Drawn to the world of events and weddings during her studies - Shelley has a degree in Project Management and combines her skills in the field with her creative flare with ease. The result is a perfect balance between structure and creativity! Shelley has a calm-under-pressure approach at all times and an exceptional eye for detail which make her the best person to have at your side. Bringing a youthful, innovative and spirited perspective to the 2iC Team, she is positive to her core and sees good in all things. Having worked in the industry for numerous years post studies, Shelley is adaptive to change in all situations and able to distinguish the essential from the non-essential with ease. She is able to pace herself well and is a value-driven individual who is committed to priorities, both at work and in her personal life. Within the 2iC Team, this commitment is expressed by creating the best possible experience for her Clients by ensuring their vision is executed accurately and with love. Shelley is an avid believer in lifelong learning and self-renewal; many of the ‘habits’ of self-renewing individuals are reflected in her work. Enjoying being connected to the world around her as well to significant others in her support system and the broader community, Shelley thrives on interaction with people. She loves her work as she gets to meet like-minded individuals on a daily basis. Shelley values time out to reflect and recharge as well as to connect with her friends and family, particularly in nature.